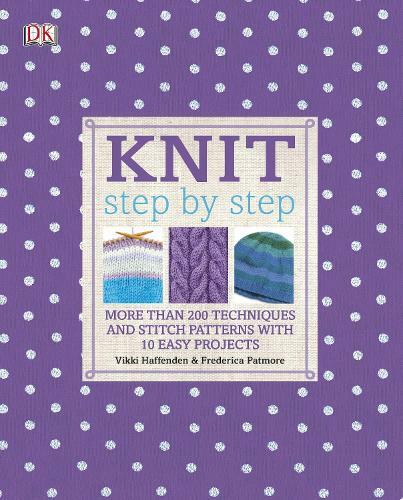 Knit Step by Step gives you the tools, techniques and stitch patterns you need to create beautiful and original knitted items. With more than 150 techniques and stitch patterns clearly photographed, pick up Knit Step by Step whenever you're looking for a new stitch to try or when you've got yourself in a knot. Plus 10 fun projects help you build on the skills you've learnt throughout the book. Whether you've just joined the knitting craze or are looking to hone your skills, Knit Step by Step has everything you need.